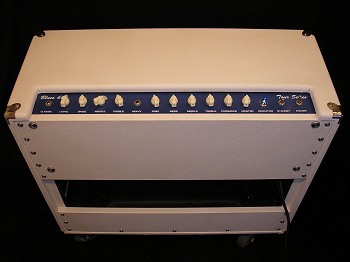 Blues 60 Combo : Amplifiers : Combos : Industrial Amps Inc.
Blues 60 Combo  Industrial Amps Inc.
60 Watt, Two Channel Combo. Point to Point Hand Wired 2x12 Tube Combo. Thanks Tony, This is really a well thought out amp build. Having a few vintage Marshalls as well as Vox, Fender, Orange and Boogie, this combo wasn't too hard to adjust to. As a matter of fact I haven't turned on any of my other amps for quite a while. Running clean it's absolutely amazing and has more drive than I'd ever need. Extremely dynamic, the volume pot on your guitar will take you everywhere in between. There are just way too many good points to post in this review for the Blues 60. 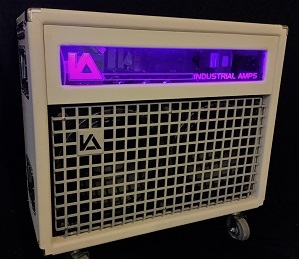 I just wanted to give you a quick kudos for this amp, it's definitely a keeper. I'm wondering about the club series now. Thanks again for all! !